The English Dial Clock appeared during the latter half of the 18th century, circa 1775. It is often considered as a descendant of the so-called ‘Act-of-Parliament’ or ‘Tavern’ Clock. British clock production of this time was generally for the wealthy who were buying Longcase and Bracket clocks for domestic purposes. Around this period, the industrial revolution was gaining momentum, there was call for a simple and practical clock for non-domestic locations, and the English Fusee Dial clock was the result. This is the reason why many people now call them ‘School clocks’ or ‘Railway/Station clocks’. 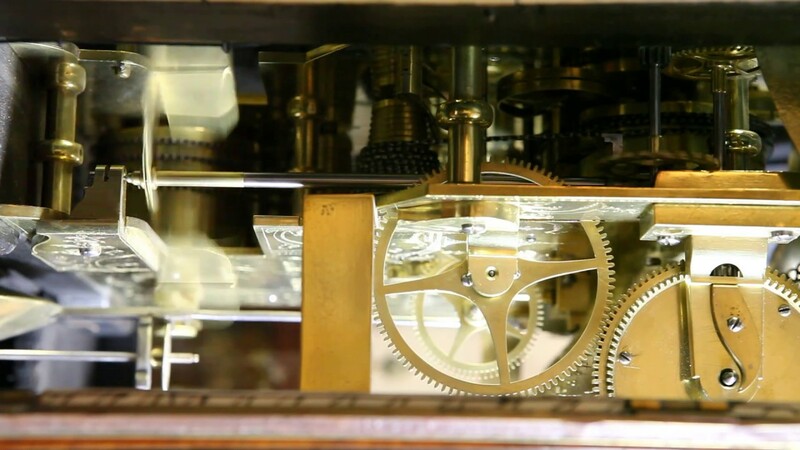 Originally they would have been timekeepers, with a verge escapement and a large circular dial about twelve inches in diameter with a spring-driven fusee movement. The better quality ones would have had convex dials, glasses and the dials would have been silvered rather than painted. Later, dial clocks often integrated the anchor escapement, painted dials and many can be found with striking trains and sometimes an alarm. Where the case descends below the dial to accommodate the longer pendulum, it is known as a drop-dial clock. If you would like to see all of our Dial Clocks and more, visit our showroom.